Барааны дугаар 9780194237925. Categories: OXFORD, Readers. 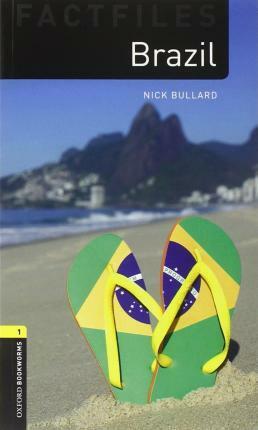 Everyone knows about Brazil’s beatiful beaches, the Amazon Rainforest, and the wonderful Carnival of Rio de Janeiro. But there is a lot more to Brazil than this: here you can find interesting old towns, modern cities, amazing waterfalls, and the biggest wetland in the world. Brazil has thousands of different kinds of animals and plants, too. It is home to world-famous artists and writers, and international sporting events like the World Cup and the Olympics. What other interesting things can you see here? Why is there music and dansing on its streets? And who are the people of this amazing country?